“It’s kind of scary,” says Buddy Guy, his voice quivering with ominous unease. “Blues music is like an endangered species almost. Guy, 75, knows of which he speaks. In a narrative steeped with down-home candor reflective of his Louisiana roots, his new autobiography, When I Left Home: My Story, co-written with David Ritz, underscores how amongst the most mythic figures of the Chicago blues he forged his artistry to become one himself—and ultimately one of the last of a dying breed. He paid his dues as a sideman and session guitarist at various labels, most notably signing in 1959 to Chess Records, home to many of the musicians whose raw and potent sound had provided him a formative influence. 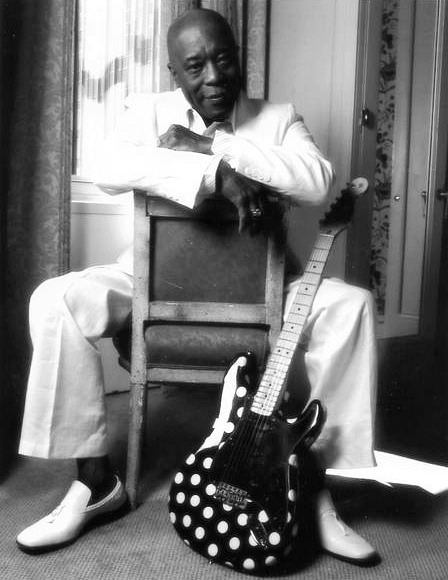 For nearly a decade he contributed to sides by the likes of Muddy Waters, Howlin’ Wolf, and Junior Wells, the latter with whom he’d forge a longstanding musical partnership. Guy earned his legend, however, as a wild man on the live stage—or on top of bars, tables, chairs, even out on the sidewalk—of whatever nightclub or juke joint that would have him. A whirlwind of skill and flamboyance on the axe, he exhilarated audiences and, in time, an equally passionate retinue of guitarists—Eric Clapton, Jeff Beck, Jimi Hendrix, and Keith Richards, to name but a few—took notice. “Jeff Beck and Eric Clapton said they didn’t even know a Strat could be played blues on until they saw me,” Guy notes in a rare but justified moment of immodesty. While his showmanship proved as influential as it was awe-inspiring, it had always rubbed label president Leonard Chess the wrong way—consequently Guy never really eclipsed his supporting-role status as a recording artist at Chess—but the emergent popularity of blues rockers from Cream to the Jimi Hendrix Experience in the latter half of the ‘60s turned him around. Guy ended up leaving the label in 1968 in search of more-promising opportunities, but despite his efforts he struggled to find his musical footing for years thereafter. “My children didn’t know who I was until they turned 21 and walked in the blues club and said, ‘Dad, I didn’t know you could play like that,’” Guy says. It wasn’t until the late ‘80s, in fact, with such albums as Sweet Tea and Damn Right, I’ve Got The Blues that he began to reap the recognition he had so long deserved. Depending on your perspective, his music was played on the radio because it sold—or his music sold because it was played on the radio. There is seemingly no reward without risk for Guy, and even at this current phase of his career he relishes the chance to defy convention and exceed expectation. It’s a philosophy that keeps him hungry and encouraged—and leaves his disciples more and more amazed. Guy is a six-time GRAMMY® winner, his most recent win coming in 2010 for Living Proof in the category of Best Contemporary Blues Album. 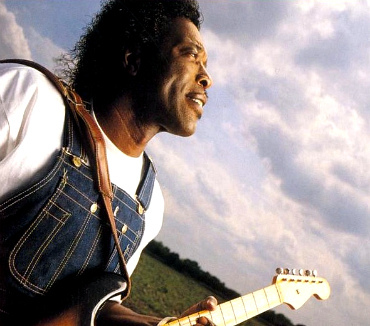 He’s been inducted into the Rock and Roll Hall of Fame and the Blues Hall of Fame. And he is a recipient of the National Medal of Arts, the honor perhaps most indicative of his significance. 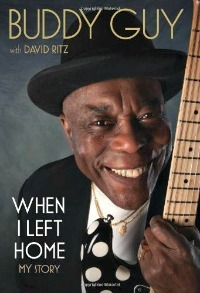 When I Left Home: My Story by Buddy Guy with David Ritz is published by Da Capo Press.